The Executive Vice Chancellor and Provost leads NC State’s academic efforts and supports many other aspects of the university community. Executive Vice Chancellor and Provost Warwick Arden fulfills a dual role integral to NC State’s success. As executive vice chancellor, he is the senior executive responsible for NC State’s day-to-day activities. Arden works closely with Chancellor Randy Woodson to support the university’s strategic planning and policymaking efforts. He also leads the implementation of high-level university initiatives, such as the Chancellor’s Faculty Excellence Program and University Faculty Scholars awards, which raise NC State’s national and international visibility. As provost, Arden serves as chief academic officer and is responsible for the university’s 10 colleges and 12 critical corollary units. He oversees the review and approval of all of NC State’s academic programs and policies, and directs the appointment, promotion and compensation of the faculty. Arden also manages leadership searches and carries out directives from the chancellor, the University of North Carolina System Office and the UNC Board of Governors. Administrative staff, deans and vice chancellors collaborate to support efforts that directly impact NC State’s growth. Each one plays a vital role in contributing to the academic success of all faculty and students. 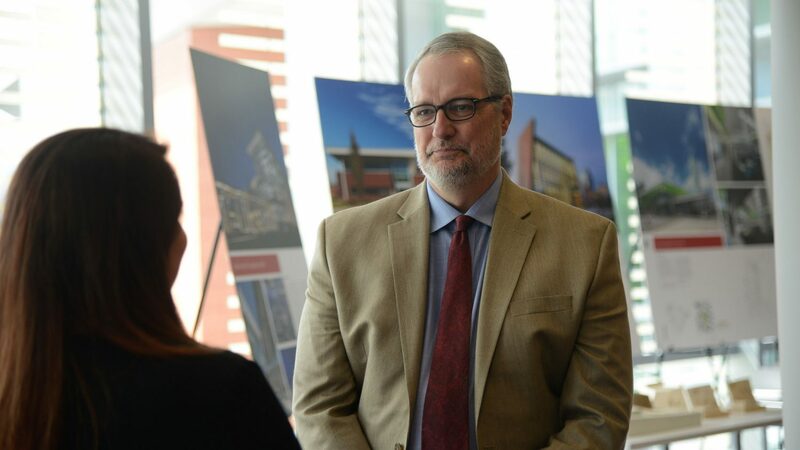 The provost plays a critical role in the growth and success of NC State academics through strategic management of the university’s colleges and supporting units, along with various centers, institutes and programs. His proactive leadership of each one contributes to making NC State the pre-eminent research enterprise and the university of choice for accomplished, high-performing students, faculty and staff from around the world. As the heart of NC State’s academic community, the Provost’s Office oversees the university’s 10 colleges. The provost works with deans and department heads to ensure a strong academic environment for all faculty and students. The Provost’s Office oversees and provides strategic vision to 11 critical corollary units. These units support NC State’s world-class academics, and provide resources for the development of students, faculty and staff. In addition to colleges and corollary units, the Provost’s Office provides support and direction for a variety of university programs and initiatives. Each one contributes to enriching university academics and addressing global issues.